Does your chihuahua instinctively start to whimper or run away the moment it senses you want to cut its nails? Are you scared stiff of causing bleeding when trimming your pet’s nails? Are your chihuahua’s nails getting so long they’ve become gnarled and unsightly? If you answered YES to any of the above, you are definitely reading the right guide on how to cut Chihuahua nails. This guide gives you the inside scoop on how to clip your four-legged companion’s nails the quick, easy, and comfortable way. Just follow the step by step guide below. Make no mistake, unless you clip your dog’s nails, its claws will continue to grow and your dog might suffer from arthritis later. 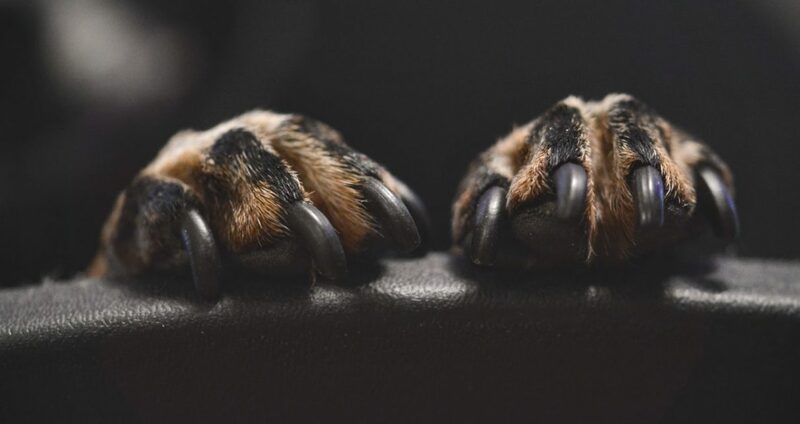 Your pet’s long nails puts pressures on its paws’ joints which can lead to arthritis. Long unkempt nails can also splinter and cause infection deeper in your pet’s paws. 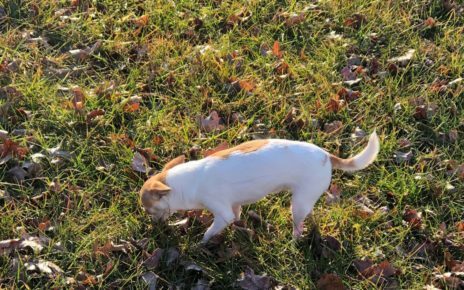 By simply walking on hard surfaces like concrete, asphalt, floor tiles, or wood floor paneling, chihuahua nails wear down fairly quickly. If your dog regularly walks on hard surfaces, gently hold your pet’s paws and check your pet’s nails. If its nails are sharp and extended, go to Step 2. If not, your pet doesn’t need its nails clipped. You might want to just file its nails if needed. Take a few moments to stroke your Chihuahua prior to holding its paws for trimming. Establish calm and gently assure your pet everything will be okay. 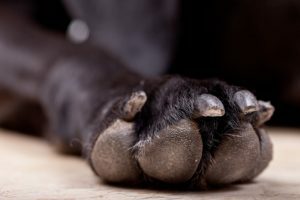 You’d be surprised at how effective this preliminary step can be in ensuring a smooth nail clipping experience for both you and your four-legged companion. You may want to place your Chihuahua on a waist-level table that enables you to easily grab a hold of all your pet’s paws. If your dog appears too nervous or starts to shake, you might want to relocate to a sofa or chair. As long as your dog is calm and you have easy access to its nails, a chair or reclining sofa will work. Best practices: Make sure your non-dominant hand is free to comfort your dog with strokes. You’ll need to do this as you clip its nails with your other hand. With the clipper’s blade positioned toward you, slip a nail into the guillotine clipper. This ensures maximum grip control over the blade should you need to change its position. Best practices: Stroke your pet and calm it down with assurances or praises as you position the clipper. You don’t want your pet to struggle with you at this point. It would be very hard to position the clipper correctly if your dog is resisting before it even gets a chance to get used to the clipper holding its nail. The ‘quick’ is the fleshy part of the Chihuahua’s paw right under its nails. It’s like the part of your finger right under your nails. Push too hard clipping your pet’s nails and you’ll cut into the quick and cause bleeding. You can cut into the quick but you can’t push too hard or it will bleed. Depending on your pet’s nail color and opacity, you may be able to see where it’s quick begins. For instance, if your dog has white or light nails, you can stop clipping right before the pink middle portion of the underside of the nail begins. Lighter nails also reveal the pink inner tissue of the nail. Don’t cut into these. Best practices: As much as possible clip only the nails of your pet and leave the quick area alone. But if you are going to cut close to it, make sure you go no further than 2mm or less. Give some ‘cushion’ space for the quick or your cutting might make it bleed. If your pet has lots of fur around its nails, use straight tipped scissors to trim away excess fur so you can fully see the nails you’re going to clip. If your dog has dark nails and you can’t see where its quick begins, just clip its nails repeatedly using small increments. By clipping and stopping and looking under the nail, you’ll be able to eyeball the quick and avoid it. You can use a guillotine clipper for this but you have to make sure you have a firm grip on your pet’s paw because if they jerk or push, you might end up clipping a larger bit of their nail than you planned. This can be stressful for your dog and, if the quick is pushed through the section, painful. 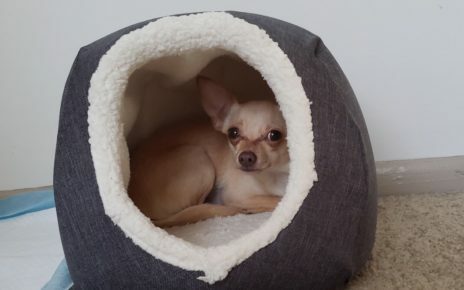 Best practices: If you are going to be trimming your Chihuahua’s nails in small bits at a time, you might want to use miller’s forge/crescent-style scissors because you can see the full nail and adjust accordingly. As you clip one nail after another, pay attention to your pet’s disposition. If it’s stressed out, give it treats and verbal encouragement as you caress it. Calm it down to distract it. Best practices: Verbally reward your pet as you finish one nail after another. If you panic, your pet will also freak out and things can easily get out of hand. Be prepared for this possibility by having some styptic powder ready. This compound reduces bleeding by contracting your dog’s quick area blood vessels. Place a few drops on a cotton swab or ball and place on the bleeding quick section. Apply pressure until the bleeding comes to a complete stop. Please note that styptic powder is usually enough to stop shallow bleeding. 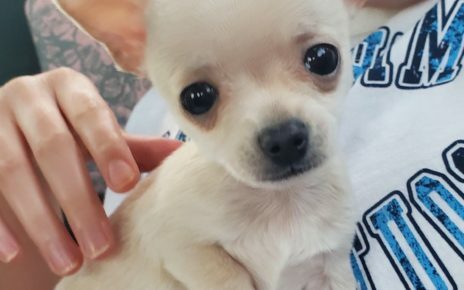 If you want your Chihuahua’s next nail clipping to be a strictly drama-free event, make sure you learn how to cut Chihuahua nails the right way. Keep the tips above in mind.